Since I've already gotten a couple questions about it: this is all now reflected in both SimC and AMR simulations. Spitting Cobra has been, and remains the best talent choice for most raiding situations, save for mass AoE situations. If they remove these bugs, which would nerf the ability, then that might change, but until then, enjoy your Cobra friend. Glad we cleared that up, back to your regularly scheduled programming. The only reason I included a Murder of Crows and Caltrops was to make sure I wasn't missing anything else that might be affecting everything, so they could sort of act as my control group. As you can see, in Test A, where I don't have any versatility, and don't have Talonclaw on, everything acts as you'd expect it to. Each hit of Cobra Spit does 1.4*AP*1.07 damage (the 1.07 is the 7% buff generic aura that SV has at the moment). In Test B, we start to see a problem. 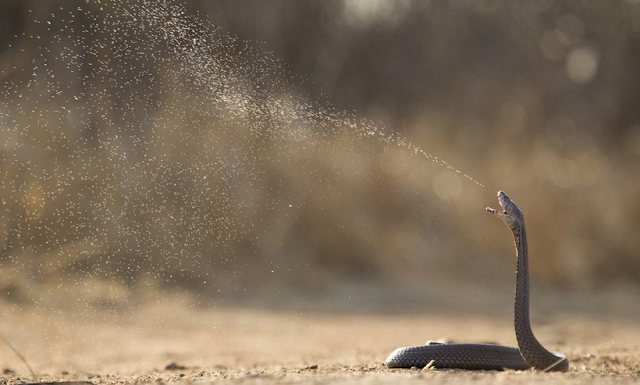 In this test, our prediction was that Spitting Cobra would do 1.4*AP*1.07*1.05*1.1. The "*1.05*1.1" part being from the two generic damage buffs from Talonclaw, increasing damage by 5% and 10%. Along with the 8% physical damage buff for a Murder of Crows, the same adjustment accurately predicted the damage of both aMoC and Caltrops, so the problem must be somewhere else. I tried adjusting the AP by using a flask, and by adding some trinkets that had Agility but wouldn't affect anything else, and got the same result, that was off by about 15.5%. After seeing the 15.5% repeated a couple times, it occurred to me that that increasing the damage by 15.5% is the same as increasing the damage by 5% and 10% (when they work together multiplicatively, as they do in our case). In Test C, I added versatility to the mix, without affecting the AP or any other relevant stats (which is easy to do as SV since Mastery only affects one thing which isn't part of this experiment). In this case we ran into very strange numbers. I should say here that I didn't just guess that I should test for Versatility's affect, but it had been suggested to me that the damage was "double dipping" in versatility damage; so I was planning to isolate that as a variable from the start. In this case, while the 23.15% looks like a strange, fairly meaningless number, since I had the hint to try doubling the versatility, I could do just that and, all of the sudden I was back to that 15.5% number again. I also tried a couple of variations on how much Versatility there were, just to double check that it was actually applied the Versatility damage buff squared, not some other similar figure that happened to be close to what my originally tested Versatility damage buff was, the results were all the same, though. I couldn't, however, think of any additional "% damage increase" type buffs to test if this is only affecting these specific buffs, or is actually able to be generalized to all % damage buffs (if you have any ideas, let me know; perhaps there's an older raid boss I could test it on, like Nazgrim). Because there were problems with the Versatility stat, I wanted to double check the other stats. Critical chance seemed to work as expected regardless of any variations. Mastery doesn't have any affect on Spitting Cobras, so that's not really an issue. Haste, however, is just really weird. The second two are close to the expected values, if you have a 2 second base interval. That would be: 2/1.1585=1.7264 seconds, which is close to 1.669 seconds; and 2/1.2685=1.5767 seconds, which is fairly close to 1.602 seconds. However, that 2 second interval which we see in the tooltip doesn't really explain how we can average 2.436 seconds with 0% Haste. I tested about a dozen times with 0% haste, just because it didn't really make much sense, and I though perhaps it was a problem with how the timestamps show int he logs, which I could overcome (on average) through gathering a large enough amount of data. My effort was in vain, however, as my range for an individual cast of Spitting Cobra never dropped below 2.432 seconds or above 2.440 seconds. Neither of those estimates are very close, or similarly accurate for both Haste points, unfortunately. The range for the 15.85% haste point was 1.457:1.767, and the range on the 26.85% haste point was 1.339:1.759, which is probably wide enough that we can assume the logs just aren't going to be accurate enough to really give us a great answer. Swol, who does the Hunter module for AMR's simulator, thought he was seeing a pattern of double dipping on haste, but occasionally stuttering for up to .4 seconds. This, oddly enough, fits the data fairly well, but I can't figure out a way to really test for it that would have a worthwhile null hypothesis. How Voice of the Wild Gods and Ferocity of the Unseen Path affect the damage output. Which other Percent Damage Increase buffs will double their benefit for Spitting Cobras. A few oddities solved, but not all of them. And I have to admit, I'm a bit disappointed that I failed at figuring out all of the intricacies of how the ability is actually working. Perhaps I'll go get a beer or something and then take another look at it with a fresh mind later tonight.